In a surprising (and overlooked) turn of events, a couple weeks ago hardware-maker BLU updated its Life One X away from Lollipop. Unfortunately for users, although it is nice for a 2015 $99 entry-level device to see new software, it's only been taken as far as Android 6.0 Marshmallow. That's right, it's mid-2017, and BLU is only now updating a phone that came out in 2015 to an operating system from 2015. Don't get me wrong, BLU makes some decent phones. Even the phone in question, the Life One X, was a favorite of ours. The entry-level product space is highly competitive and filled with a bunch of really terrible devices. 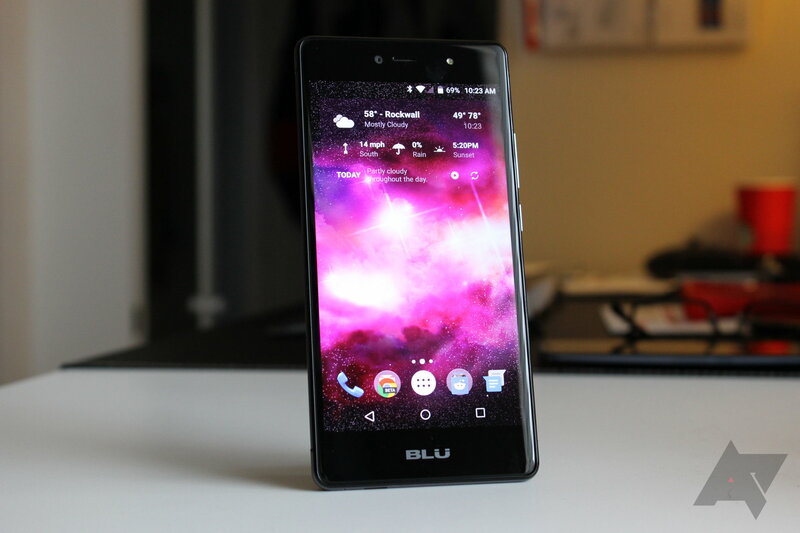 And BLU manages not just to compete in that space, but to bring decent hardware and value to users. And software updates are almost always a good thing. Often budget phones don't see many updates on top of the software they launch with, and jumping up a whole version is a pretty lucky occurrence for a $99 phone. But giving a phone Marshmallow in 2017 speaks volumes about a company's commitment to software and user security. 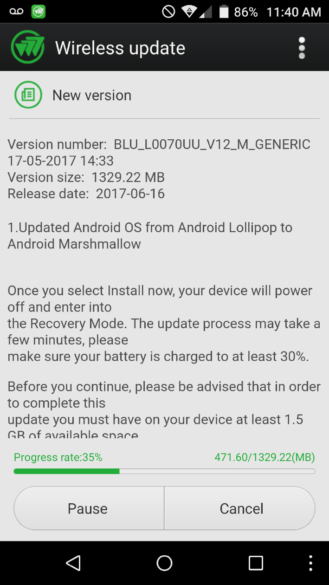 The phone isn't listed at BLU's site as having Marshmallow just yet. But, given how long it took them to update this phone to Marshmallow, it might be anywhere from another couple of weeks to a few years before the page reflects the change. The update clocks in at around 1322MB in size, and it started rolling out a few weeks ago. You should probably be able to pull the update down in the normal BLU way, in Settings -> About device -> Wireless update.